Led by Joe Royle into the top flight in 1991, Oldham Athletic spent three seasons amongst the elite until their relegation in 1994. 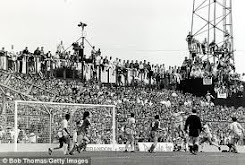 As a Division Two side they lost to Nottingham Forest in the Littlewoods Cup final of 1990, the season City fell at the semi-final hurdle to Brian Clough’s men. New City manager Mark Robins knocked the second tier ‘Latics’ out of the FA Cup semi-final in 1991 during his Manchester United days as the likes of Andy Ritchie, Mike Milligan, Paul Warhurst and Rick Holden thrived on their underdog tag in both league and cup. 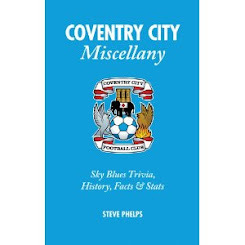 In August 1992 both Coventry City and Oldham Athletic were founder members of the Premier League, this Saturday they meet at Boundary Park, the Sky Blues on a mission for that elusive first league victory. 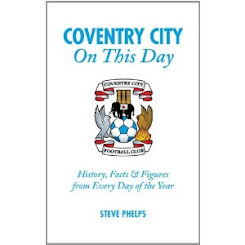 Sky Sports dispatched their myriad of cameras to City against Oldham in January 1993 for their Saturday teatime spectacular and were rewarded with three City goals in the opening 19 minutes. 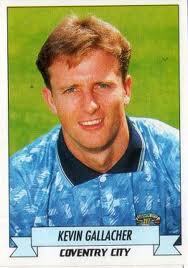 Scoring his last goals for the club was Kevin Gallacher, signed from Dundee United for £900,000 early in 1990. In just over three seasons the Scotland striker appeared 117 times and scored 35 goals. Signed primarily as a winger he successfully converted his pace and ball skills to a central role partnering Big Cyrille and Robert Rosario before reverting to the wing upon the arrival of goal machine Mick Quinn. 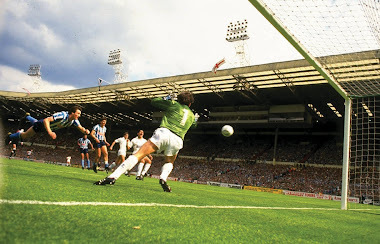 High spots of Gallacher’s time at Highfield Road included a treble in the memorable 5-4 League Cup win against Forest, a fantastic strike at Carrow Road along with a fine finish in the 5-1 victory over Liverpool. 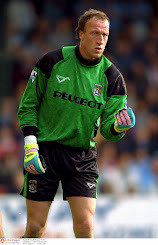 Following his departure to Blackburn Rovers he went on to collect a Premier League title medal but took four years to return to Highfield Road due to various injuries, finally re-appearing in the goalless draw of 1996 to a warm reception. 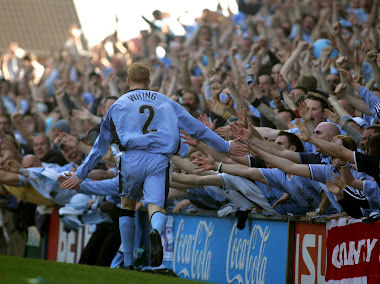 What Kevin Gallacher gave to City was electric pace, an eye for goal and boundless energy. Along with a goal every three games he gave 100% each time he took to the field - current side take note. He took the Player of the Year award in 1991 and top scored in 1990/91 and 1991/92, a fine achievement in three seasons at the club. Mark Robins has wasted little time in tinkering with the debris found upon his arrival. Three midfielders and a left-back brought in so far point to a manager who has identified major chinks in the armoury although I think he should shop around for a centre-half or two judging by the uncertainty reigning in front of Joe Murphy at present. From what I’ve seen Robins isn’t going to take any messing, shape up or ship out is the message to the side after just 90 minutes of football. 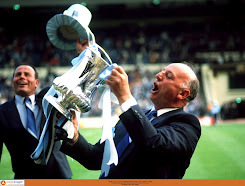 You could see his annoyance when interviewed by ‘Clem’ on the ‘Football League Show’ – ‘we just didn’t play’ – were his words. I have a hunch Robins will sort us out, I know it’s been said time and time again after a new manager walks through the revolving Ricoh door but there is something about his steely demeanour that makes me think his arrival could be a turning point for our great club.